When the Columbus Crew and Toronto FC kicked off the first leg of the Eastern Conference Finals on Nov. 21, Matt Selan was still scrambling to get to his seat inside MAPFRE Stadium. A season ticket holder for more than a decade, Selan said he had never experienced anything remotely like the hour prior to kickoff that night, when he stood in line with thousands of fellow supporters attempting to enter for a sold-out match. As it turned out, Selan was one of the lucky ones. When he got to his seat in the sixth minute, there were still large swaths of open seats and long lines of angry fans stretching into the parking lot. That anger is a reflection of the mounting hostility between fans and the club’s owner, Anthony Precourt, who in recent weeks has publicly declared his intention to uproot one of MLS’s original teams and move the franchise to Austin. 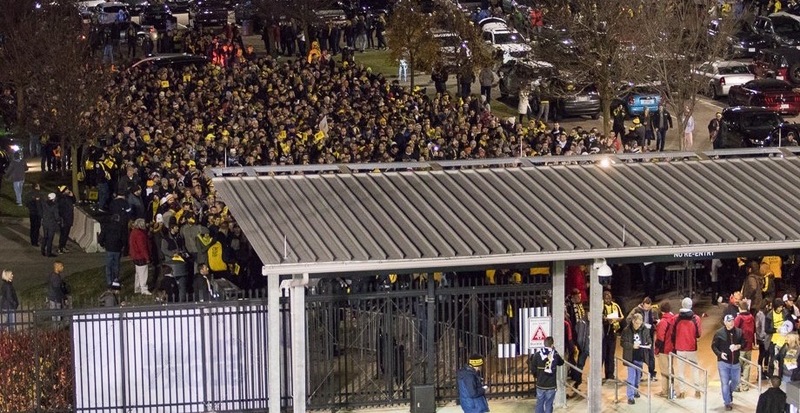 As the distrust and ill will grows among supporters of the Crew, theories about why it was so difficult to enter the stadium by kickoff ran amok. The scene outside the stadium on Nov. 21 mirrored much of what fans experienced for the first leg of the Eastern Conference semifinals against New York City FC on Oct. 31, albeit with a smaller crowd. Announced attendance for the NYCFC match was 14,416, a number many fans believe to be lower than the actual count. In an effort to sell out the stadium against Toronto, fans campaigned on social media and quickly bought up tickets. Crew fan and data analyst Matt Bernhardt tracked available seats on Ticketmaster starting Nov. 5. By 9 p.m. on Nov. 12, there were only 156 standard tickets available. In an interview with the Columbus Dispatch on Nov. 15, Crew president of business operations Andy Loughnane acknowledged that the club was expecting a sellout. “This is an important match for the club and excluding MLS Cup, this will mark the second sellout for a playoff match [since 2014].” However, the club did not put out a press release announcing a sellout, as the Houston Dynamo did for its match the same night. Meanwhile, the club says it tried to warn fans about potential delays due to increased security and the large crowd. Reached for comment, a Crew SC spokesman said all gates were opened 30 minutes early. An email was sent at 11:15 a.m. on Nov. 20 notifying fans that MAPFRE Stadium would open at 6 p.m. It also said, “a limited number of Standing Room Only tickets remain.” Details about stadium entry were also posted on the club’s social media accounts on the day of the match. “We were fully staffed, we had all the gates open, we opened 30 minutes early and we communicated this well in advance, including on game day,” the spokesman said. To some fans, the warnings and notifications weren’t good enough. Selan said rush-hour traffic kept him from arriving at the stadium until 7:05 p.m. By that time, lines were already backed up far enough that Selan decided to snap a photo. At 7:57 p.m.—less than 15 minutes before kickoff—Selan tweeted a photo showing that he was still waiting in line. Dozens of supporters responded on Twitter to requests for eyewitness accounts of the lines, and comparisons to United States Men’s National Team matches were a common thread. Many supporters said that lines moved much smoother for those larger crowds, including the match against Mexico last November that drew 24,650 fans. The Crew says it used more public entrances for the Toronto FC playoff matches than even the 2016 U.S.-Mexico match required. Gates 4 and 5 were the two main south entrances with the longest lines, and Gate 3 was also open for both matches. The club said Gate 6—which was used for VIPs only at U.S.-Mexico, was also open to the public on Nov. 21. Gate 2 was reserved for traveling TFC supporters while Gate 7 was allowed for use by fans with seats in the Crew’s Nordecke supporters section. Other than directing patrons carrying banners/TIFOs/signs/flags to Gate 3, none of these specific entrances were mentioned in the Nov. 20 email. Many supporters complaining about the long lines asserted that there were “only two gates” open, and that lines stretched back so far into the parking lot that they were unaware entrances other than Gate 4 and Gate 5 were open. Even if they were, Rowley said the entrance to Gate 3 was also backed up. As for the attendance, Crew SC stands by the numbers it has reported for each of its home playoff matches. It attributes the discrepancy between larger attendance numbers for regular season matches and the reported 14,416 on Oct. 31 to a higher show rate. The club averaged 15,439 fans at its regular season matches in 2017. The spokesman cited a pair of playoff matches in 2015 with large attendance numbers. The redemption rate Oct. 31 was higher than the Eastern Conference semifinal match against the Montreal Impact (attendance 19,026) but lower than the 2015 MLS Cup against Portland (21,747). “The average redemption rate for a regular season Crew SC match is almost 20 percent lower than a Crew SC playoff match,” the spokesman said. If the Crew gets past Toronto in the second leg on Wednesday, it will again host MLS Cup at MAPFRE Stadium. 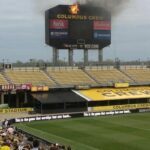 Crew SC said it will again emphasize the importance of arriving early and prioritize safety and security above all. And if Precourt decides to move the team to Austin, it may be the last time a capacity crowd watches professional soccer in Columbus for a long time. 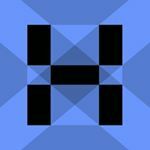 Chris Bils is a freelance reporter who has covered the Crew’s potential relocation for the Austin-American Statesman.